Okay, Where is the Real Carlos Silva…and Who is This Guy? Posted in Baseball, Cubs, Major League Baseball, St. Louis Cardinals. Tomorrow I will be lucky enough to be in the bleachers for my fifth Cubs-Cardinals game. I have seen some great games in the series. I thought that I would look back and see which one stands out as the best so far. Last season I tried to find a team to root for in the playoffs once the White Sox were eliminated. This year I can try this from the start. Here are the eight teams that have made the postseason this season. I will start my process by picking the teams that I have seen play this season in person. This eliminates the Bronx Bombers, the Phillies (who were my 2009 pick), and the Rockies. The other five teams I was able to watch live this season. It is a lot easier to root for a team that you have seen play. Now comes the hard part. How do I get these five teams down to one that I can root for? Well, I root for the White Sox so I can just check the 40 man rosters of each of these teams to find players that once played for the palehose. The team with the most former Sox players wins. None. 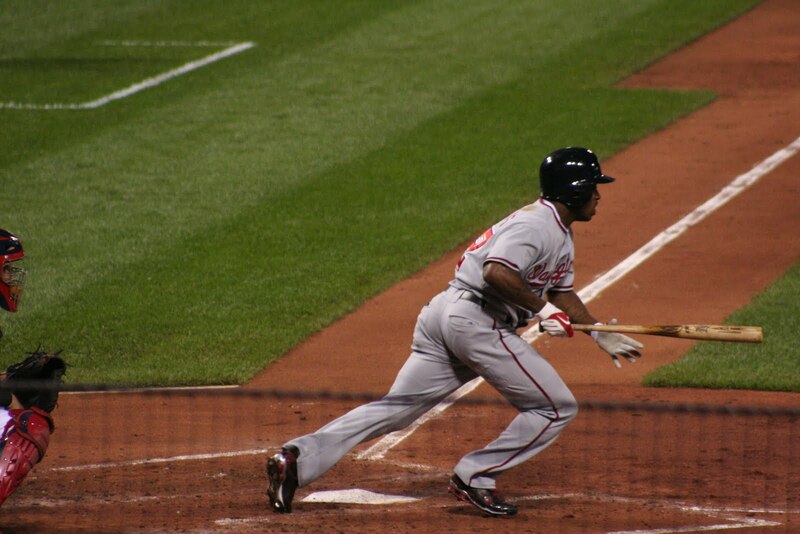 But I feel as though Chone Figgins is a former player the way his name is batted around each offseason. I still may root for them a little. So here is where we stand right now. 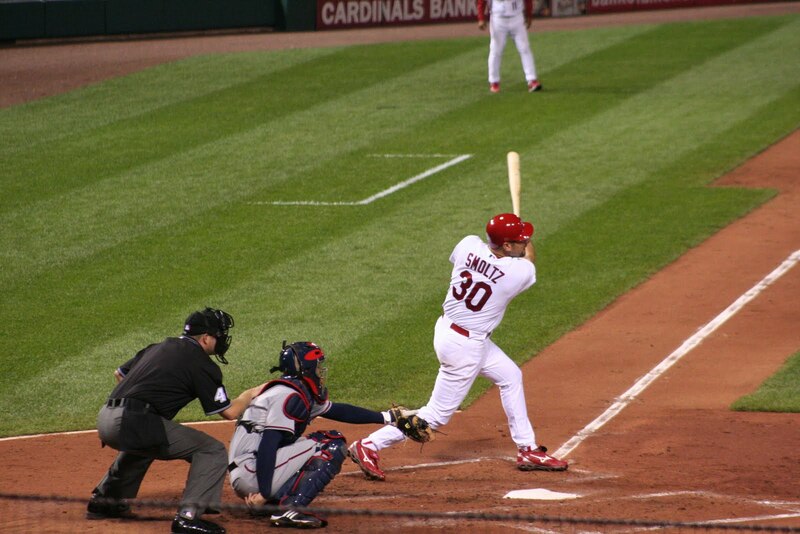 The Cardinals and Angels have zero former Sox players on their team. What are they thinking? The Red Sox have one, and it is even a member of the White Sox this season in Brian Anderson. The Dodgers have three which ties them for first, and they have a player that was a member of the Sox this season in Jim Thome. They also have one of my favorites in Jon Garland. That just leaves the Twins. They have three former Sox players as well. 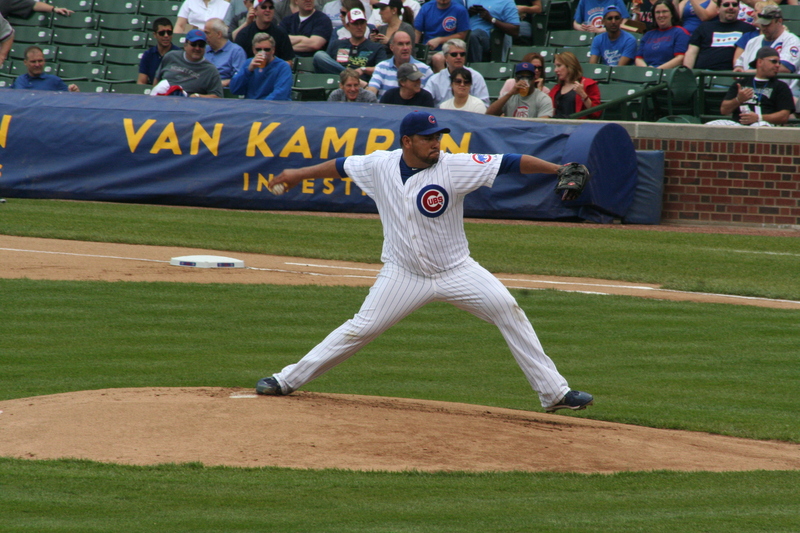 Orlando Cabrera did not make many friends in Chicago last season, but he is a winner. Joe Crede will always be one of my favorite Sox players of all-time. He was clutch. How do I break this tie for my loyalty? They are in separate leagues so I guess I am rooting for a Twins/Dodgers series. If that does happen I have one way to break the tie. 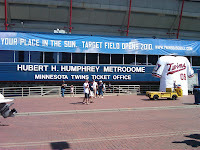 I have seen the Twins three times this season including once in their stadium. I saw the Dodgers a couple of days after that trip in Milwaukee. That is a 3-1 vote for the Twins. Also the Twins have a former Irish pitcher (Jeff Manship), and one of the coolest MLB bloggers out there (Pat Neshek). I think we have a winner. The team that I will root to win it all is the Twins? Can a White Sox fan do this? I guess we will see. It is easy to root for them now as they are facing the Yankees. Nobody wants them to win. Well maybe a few. When it comes down to it though can I be a Twins fan for a couple weeks? Stay tuned. Posted in Boston Red Sox, Colorado Rockies, Los Angeles Angels, Los Angeles Dodgers, Major League Baseball, Minnesota Twins, New York Yankees, Philadelphia Phillies, St. Louis Cardinals. Did I just really pick up a ball that John Smoltz put into play that was recorded as a hit? I think that I did. This is the next best thing to actually fielding the ball in my opinion. 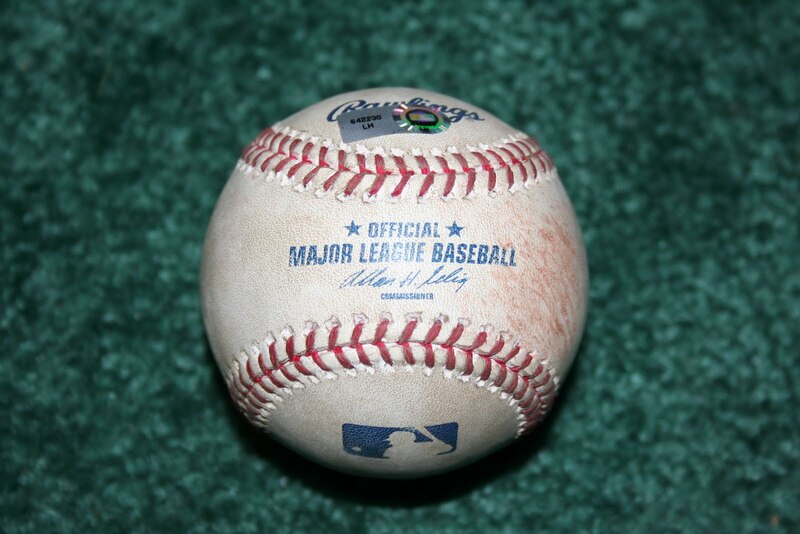 Right now this may be the jewel of my collection until I actually get a game used ball myself. That should be any day now. 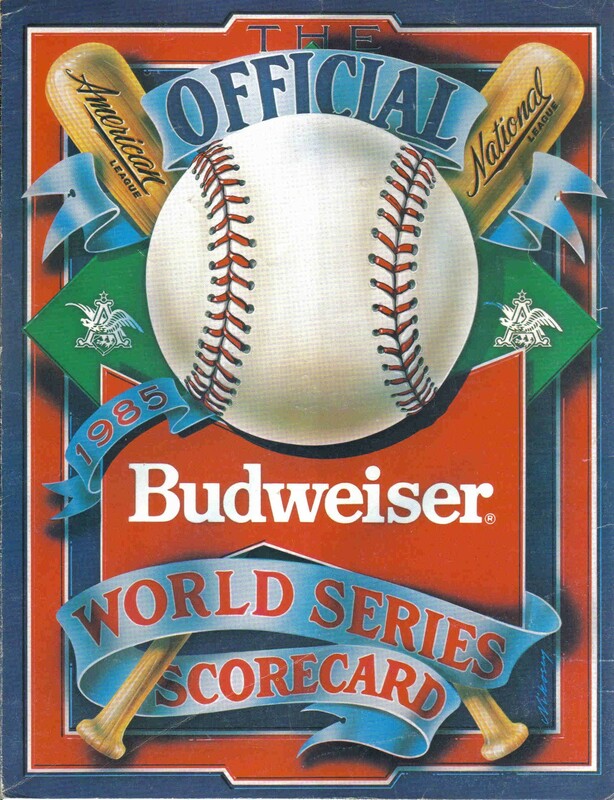 Posted in Baseball Collection, St. Louis Cardinals, Washington Nationals. While getting the pictures from the weekend off of my camera I realized that I had a few decent pictures that I could post on here. Here are the pictures from Friday. 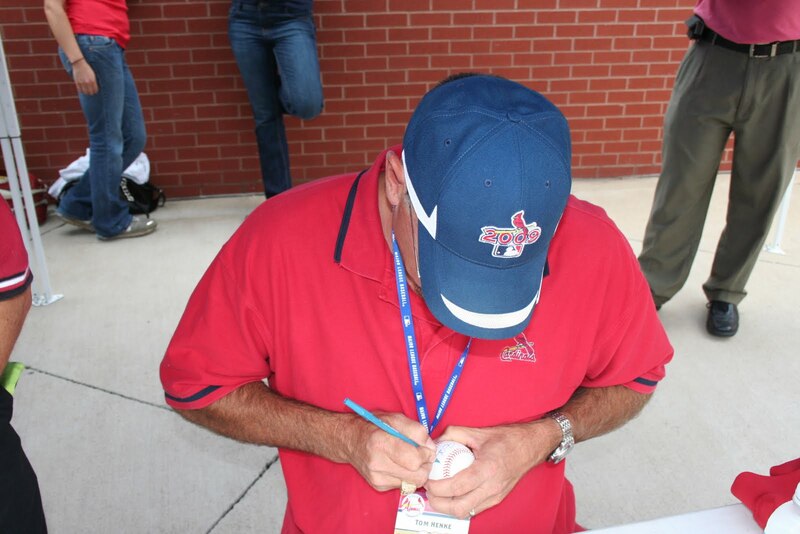 Tom Henke signing a ball for me pregame. He was even nice enough to inscribe Happy Birthday on it. 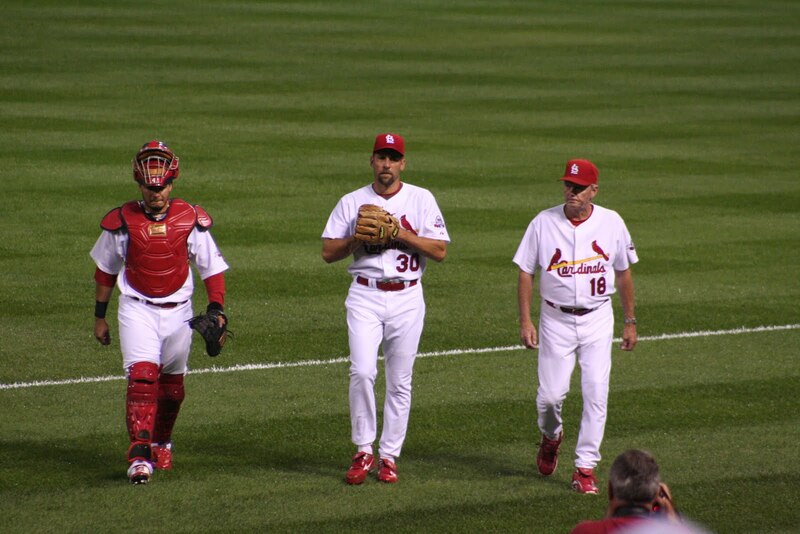 Molina, Smoltz, and Duncan come from the bullpen pregame. This is always one of my favorite parts of the game. It always reminds me off the old cowboys walking to meet the bad guys at high noon. 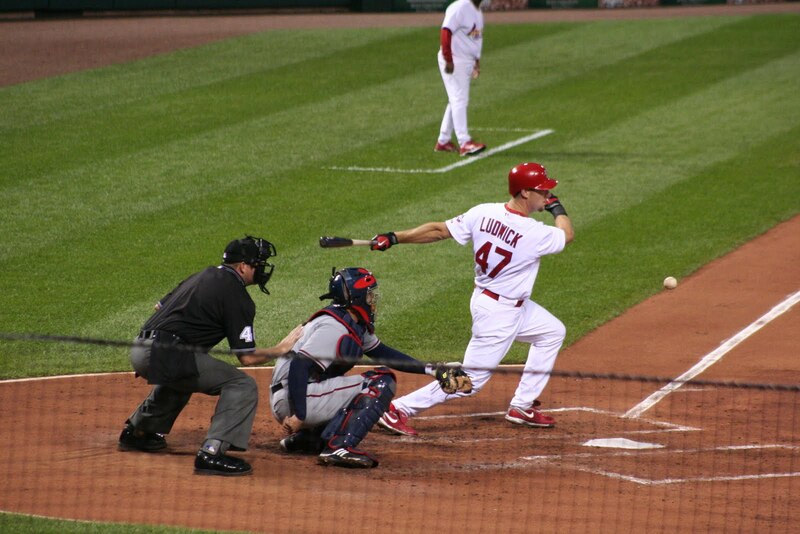 Did Ryan Ludwick swing this early, or is the ball levitating? I love this picture. Hey, its Willie Harris! Remember the guy who scored the World Series winning run? Here he is getting out of the box. John Smoltz sending a ball to the warning track in center. The place would have gone down had the ball gone out. 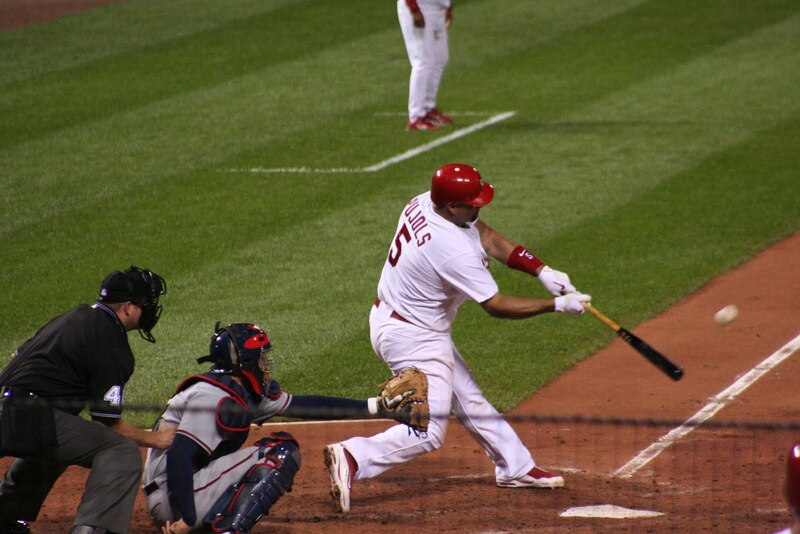 Pujols about to make contact. I took many pics of this man. He may be the best ever. 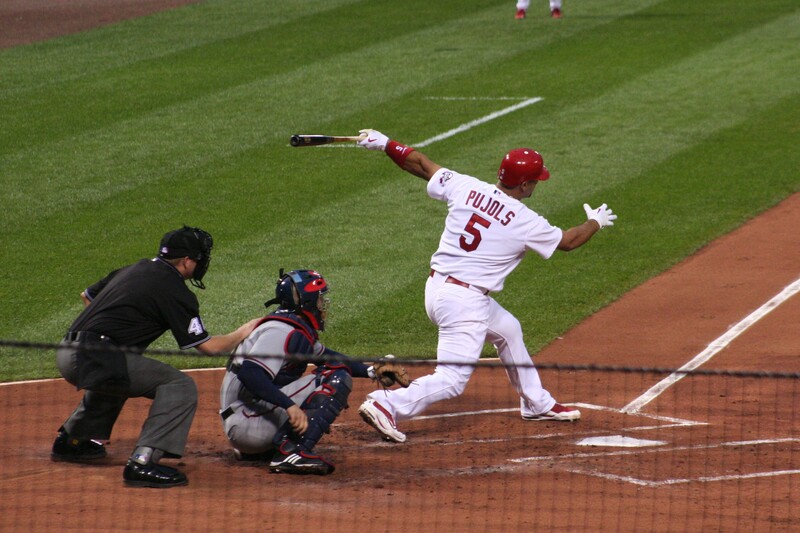 Pujols with a big follow through on another at bat. 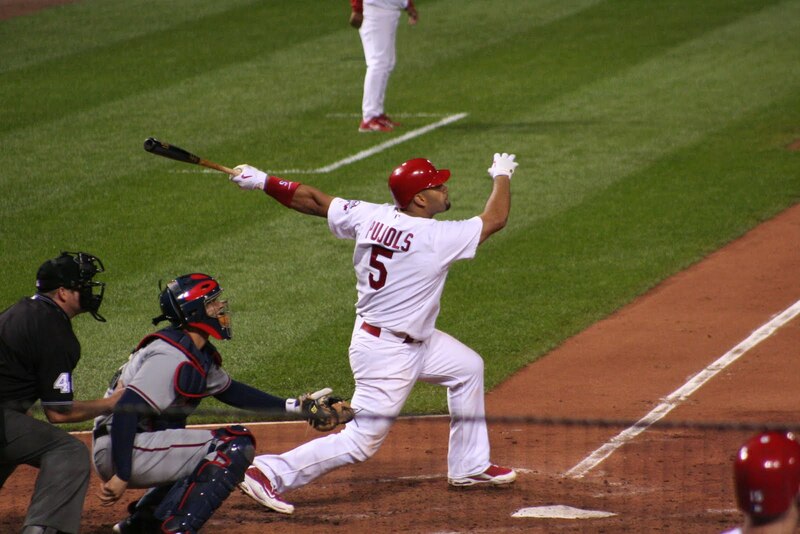 Matt Holliday looking on thanking the heavens that he gets to bat behind this man. 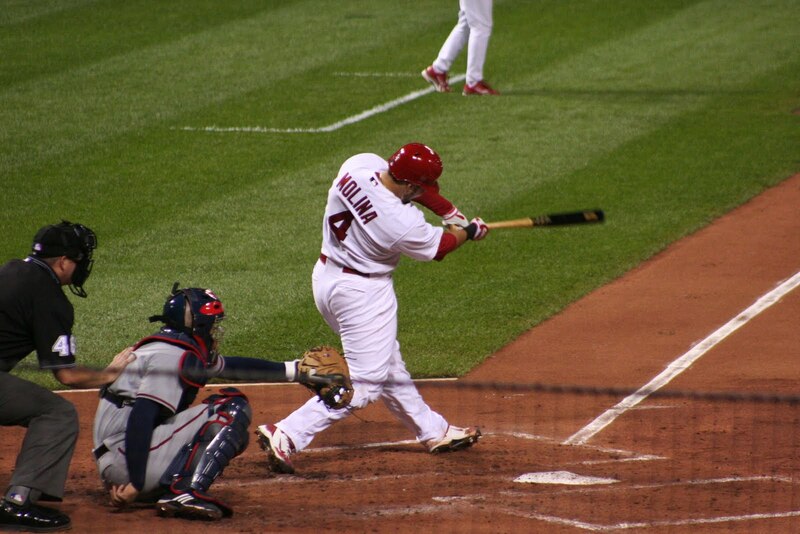 Posted in Major League Baseball, St. Louis Cardinals, Washington Nationals.